Inconel Alloy Coupling Nut Exporter, Inconel Alloy Square Bolt/Nut, Suppliers of ASTM B166 Inconel Hex Head Bolt, Inconel Bolt/Nut Manufacturer in India. Inconel Alloy Bolt, ASTM B166 Inconel Nut, Inconel Bolt, Inconel Alloy Shoulder Nuts, Inconel Alloy Nuts, Austenitic Inconel Bolt/Nut Suppliers and Exporters in Mumbai, India. Ganpat Industrial Corporation offers an extensive collection of Inconel Alloy Fasteners (Nuts / Bolts), which is a proven material for the production of boiler and pressure vessels of ASME. We offer these products in dissimilar grades such as Inconel Nuts, Inconel Bolts, Inconel Nuts, Incoloy Bolts, Incoloy Nuts, Incoloy Bolts, Incoloy Nuts, Inconel Bolts, Inconel Nuts and Inconel Bolts. The low carbon content of Inconel Hex Head Bolts minimizes carbide precipitation during welding to maintain corrosion resistance in as – welded structures. Inconel Hex Head Nuts with low carbon content has the same properties as iron, soft but easily formed. As carbon content of Inconel Square Bolts rises the metal becomes harder and stronger but less ductile and more difficult to weld. Inconel Square Nuts is normally used in the annealed temper, and strength characteristics described below are representative of annealed material. Inconel U-Bolts appears to fall between both the stainless and nickel categories as it contains characteristics of both. The usual annealing temperature of Inconel Lock Nuts is approximately 1900 Degree F (1040 Degree C). At this temperature range, Inconel Eye Bolts exhibit brittleness. Inconel T-Bolts normally has optimum machining characteristics in the annealed temper. 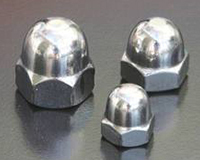 All standard machining operations are readily performed on Inconel Eye Nuts. We supply Inconel Wing Nuts for a variety of applications and will help in determining the precise amount for your current project. Inconel wing Nut, Inconel Lock Nut, Inconel Alloy Eye bolts, Inconel Alloy Panel Nut, Inconel T Bolt, A193 Inconel Alloy U Bolt, Inconel Alloy Lag Bolt, Inconel Counter sunk Bolt Manufacturer in Mumbai, India. Dallas, Mexico City, Kuala Lumpur, Nagpur, Chennai, Aberdeen, Nashik, Ahmedabad, Santiago, Courbevoie, Rio de Janeiro, Visakhapatnam, Jeddah, Calgary, Rajkot, Tehran, Cairo, Baroda, Pune, La Victoria, Bengaluru, Colombo, New York, Gimhae-si, Sydney, Indore, Milan, New Delhi, Ludhiana, Pimpri-Chinchwad, Dammam, Caracas, Ernakulam, Karachi, Riyadh, Jaipur, Los Angeles, Manama, Ulsan, Al Khobar, Istanbul, Granada, Kanpur, Bangkok, Singapore, Algiers, Hanoi, Thiruvananthapuram, Geoje-si, Edmonton, Perth, Sharjah, Madrid, Seoul, Muscat, Mumbai, Howrah, Al Jubail, Jamshedpur, Chiyoda, Kuwait City, Ho Chi Minh City, Noida, Gurgaon, Atyrau, Melbourne, Port-of-Spain, Ankara, Hyderabad, Petaling Jaya, Houston, Kolkata, Lagos, Montreal, Vadodara, Faridabad, Dubai, Secunderabad, Lahore, London, Navi Mumbai, Thane, Bogota, Vung Tau, Moscow, Ahvaz, Surat, Abu Dhabi, Toronto, Ranchi, Hong Kong, Haryana, Brisbane, Jakarta, Chandigarh, Busan, Coimbatore, Doha, Bhopal. Morocco, Serbia, China, Iran, Hong Kong, Denmark, Iran, Hungary, Bhutan, Greece, Kuwait, Austria, Bulgaria, Estonia, Yemen, Egypt, Tibet, Spain, Poland, France, Kazakhstan, Bangladesh, Namibia, Qatar, South Africa, Mongolia, Russia, Angola, Bahrain, Chile, Canada, United Kingdom, Venezuela, Czech Republic, Singapore, United States, Libya, Lithuania, Portugal, Gabon, Netherlands, Brazil, Macau, New Zealand, Philippines, Poland, Turkey, Pakistan, Algeria, Nepal, Gambia, Finland, Sweden, Sri Lanka, United Arab Emirates, Germany, Puerto Rico, Mexico, Colombia, Croatia, Trinidad & Tobago,Tunisia, Azerbaijan, Romania, Argentina, Slovakia, India, Jordan, Mexico, Indonesia, Bolivia, Taiwan, Ecuador, Costa Rica, Afghanistan, Ireland, Norway, Japan, Vietnam, Australia, South Korea, Malaysia, Switzerland, Italy, Belgium, Israel, Thailand, Nigeria, Kenya, Oman, Chile, Ukraine, Nigeria, Saudi Arabia, Peru, Iraq, Ghana, Belarus, Zimbabwe, Lebanon.